Finally. 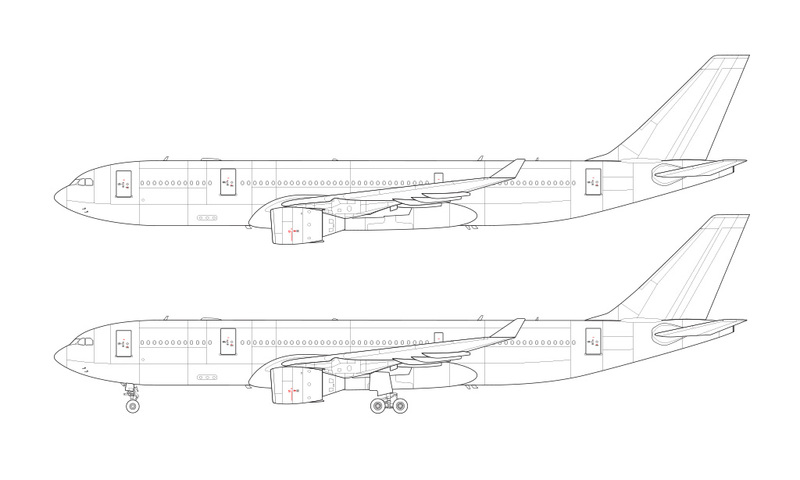 Here is my third and last template for the Airbus A330-200 series! Rounding out the set is this illustration with those big Pratt & Whitney engines looking good and hanging low under that large swept wing. I claimed that I liked the look of the GE CF6 engine the best on the A330, but I may have to retract that statement in favor of these PW4000’s instead. 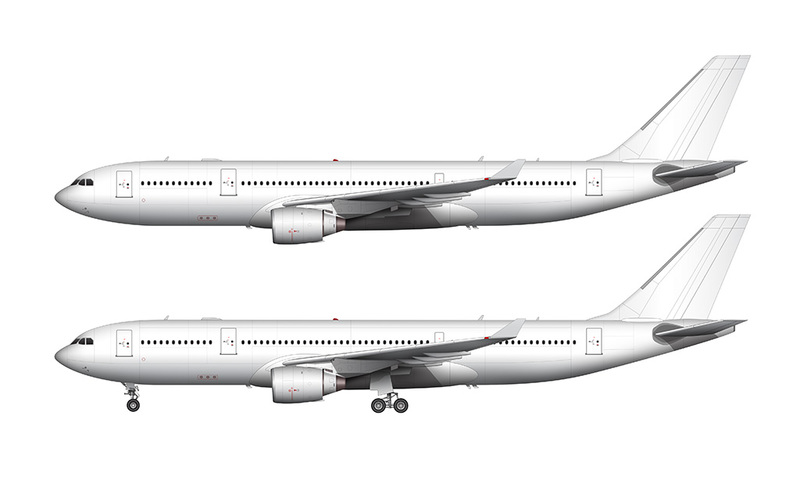 These are the largest-diameter engines currently available on the A330-200, so in my opinion, they are more in proportion with the fuselage (and overall size) of the aircraft. Note that these engines are the shortest of the three – but I don’t think that makes any difference. It’s the diameter that gives the impression of power and strength. 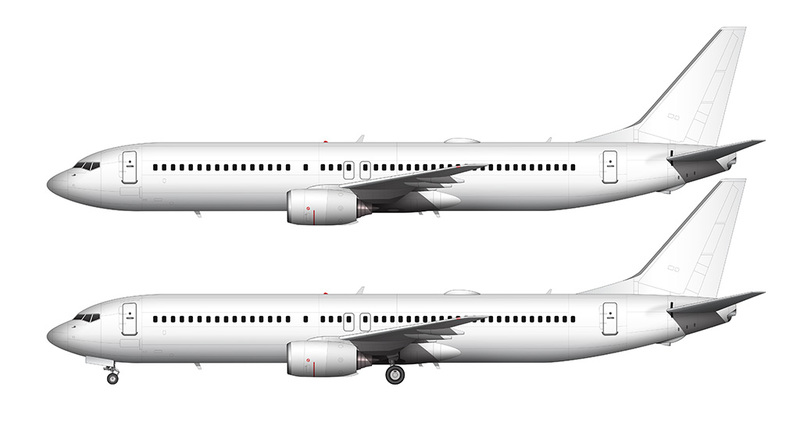 Now that I’ve completed the illustrations for all three engine options, the thing that surprised me the most is how different the connections are to the wing. The Rolls Royce Trent 700’s appear to be bolted right to that connection without much complexity, but both the CF6 and this PW4000 are actually blended into that structure in a way that I’ve never seen before on any other airliner. 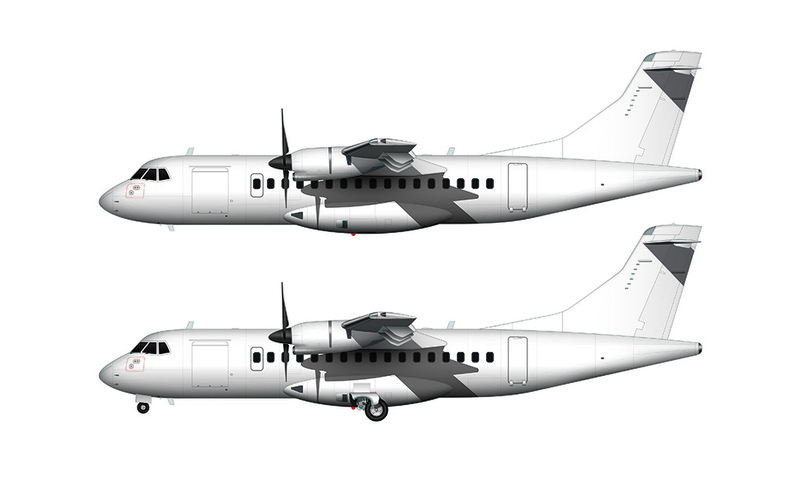 The Pratt & Whitney version is the most pronounced, as it looks to be seamlessly integrated into that wing connection without any hard breaks in the exterior surfaces. I can only imagine how long the designers and engineers spent refining this in the wind tunnel, but all I know is that it looks really great and it’s one of the most interesting things I’ve ever seen on any aircraft. Yes, I think it’s that cool! It’s the discovery of these interesting little details which keep me interested and pushing forward with this side view airliner template project. I’ve learned so much about these airplanes since my first DC-10 illustration back in 2012, and it’s a lot of fun noticing new things that I never would have paid attention to before. 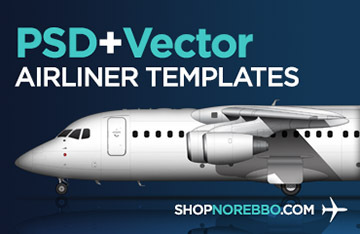 There is a lot of work that goes into the design of these airplanes, and I’m certainly appreciating that fact with each new template that I create.